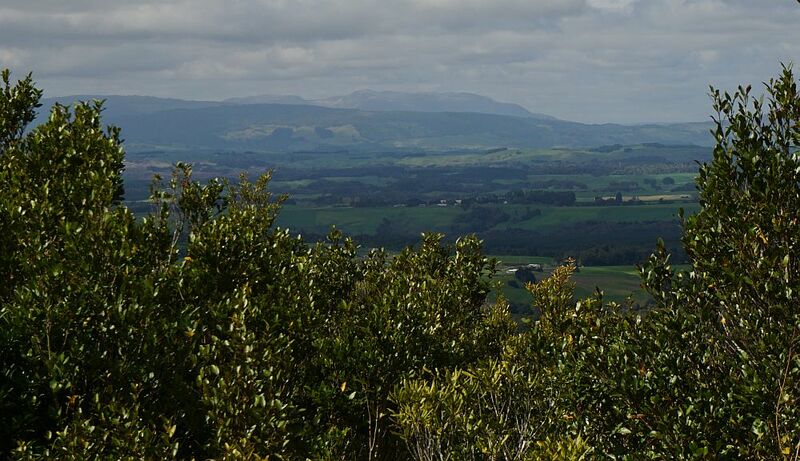 The tracks to the summit of Otanewainuku and to the Whataroa Falls are accessible from Mountain Rd, off Oropi Rd and No 2 Rd, a few kms south of Tauranga. 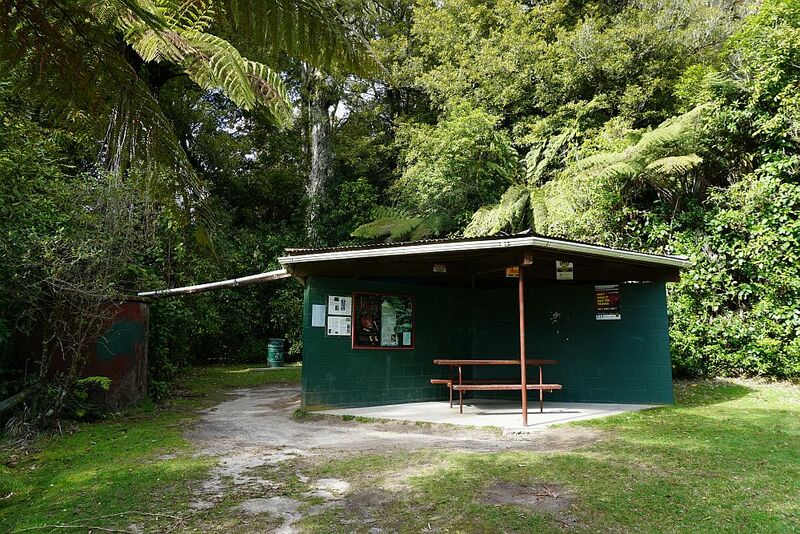 There is a parking area by the gravel road, with covered picnic tables and toilet facilities by the carpark. 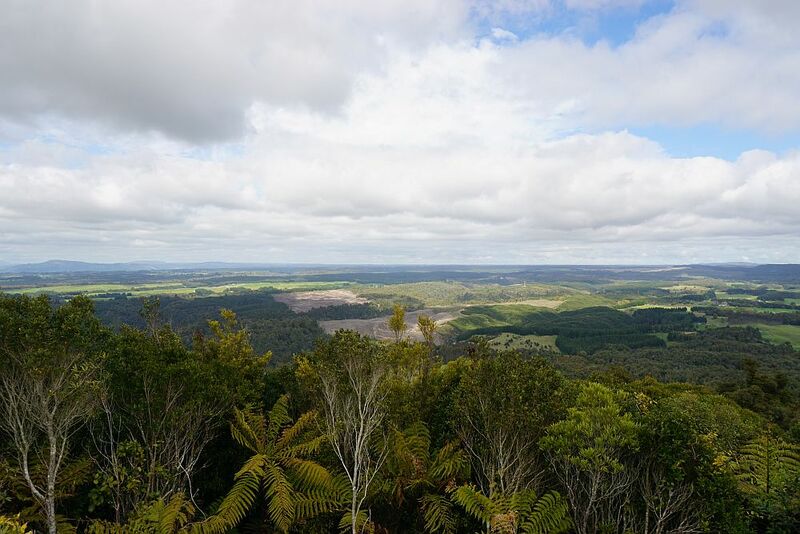 The climb from the carpark to the summit is about 200m, and is signposted as being a 45-minute walk. The track forms a loop, which can be walked either clockwise or anticlockwise. 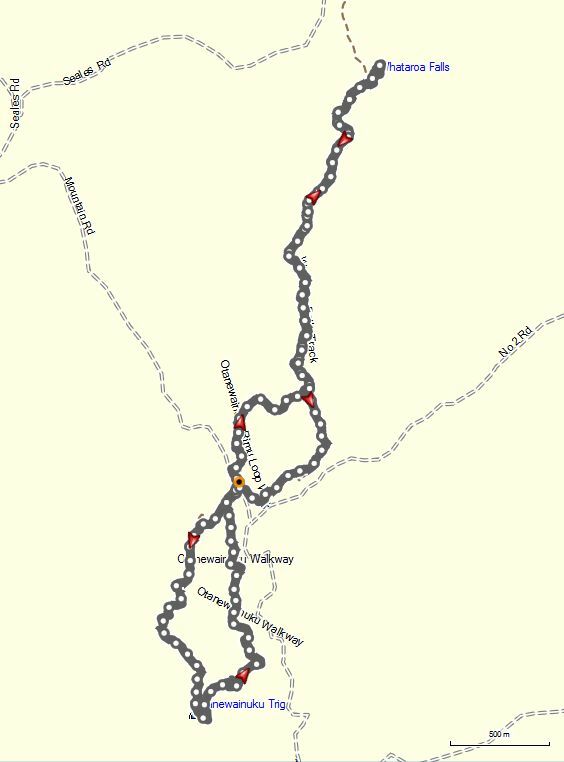 Clockwise gives the gentlest uphill walk, with stepper downhill. The track is well formed and well maintained, with very few steps and steeper areas. 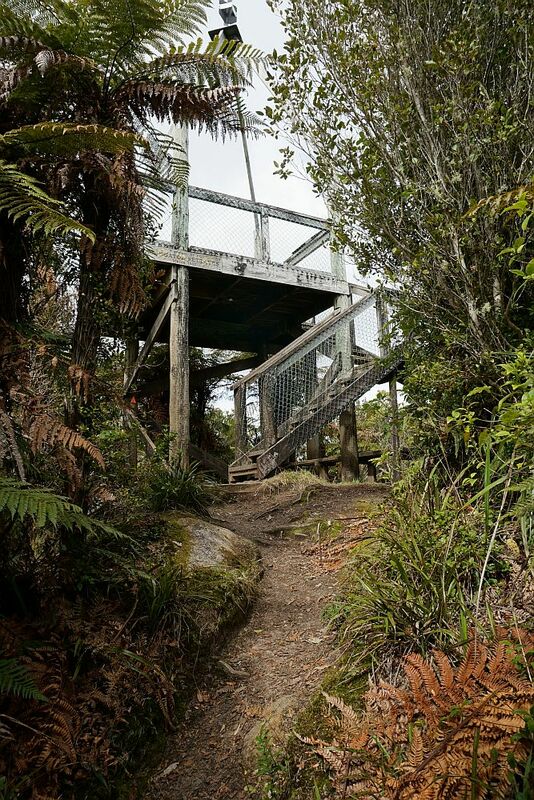 There is a lookout tower at the summit, with an almost 36-degree view over the top of the surrounding vegetation. 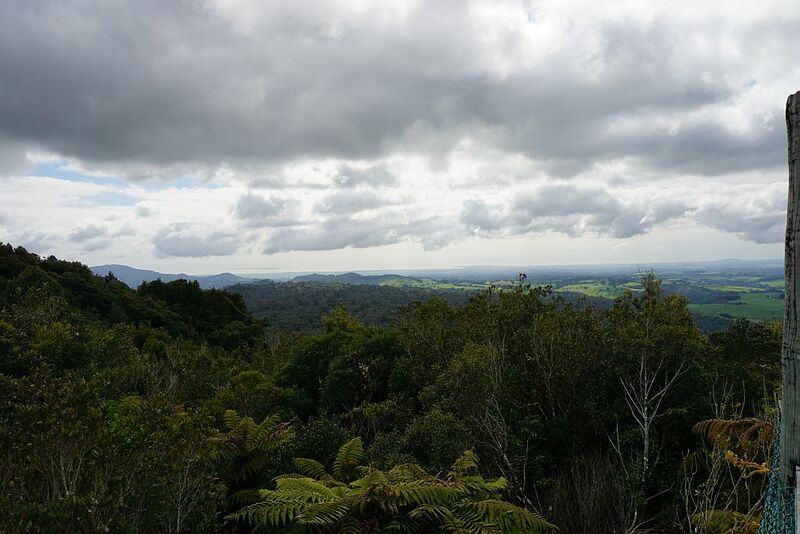 On a day with clear visibility the views are impressive.On the other side of Mountain Rd there is a Rimu Loop Track, with several large rimu trees clearly visible and accessible from the track. The loop is marked as being a 45-minute walk. It is easy walking on a well formed and maintained track. 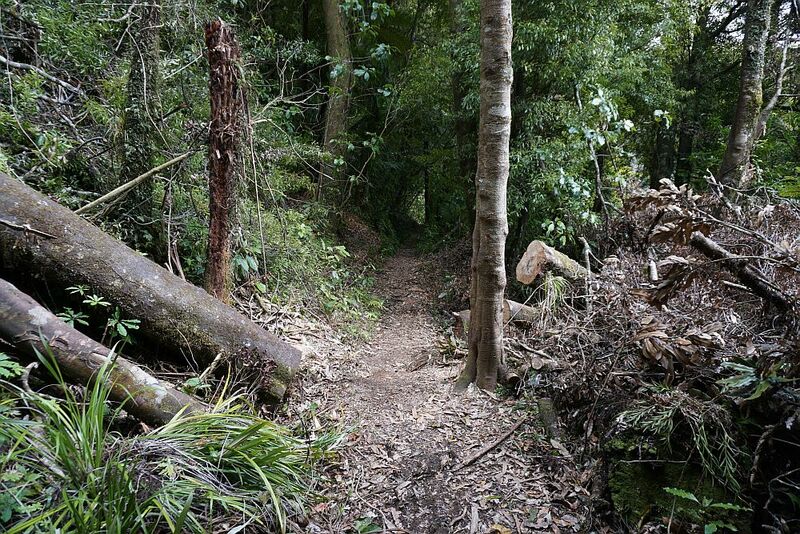 The track to Whataroa Falls starts at about the mid point of the Rimu Loop Track. From here it is about 2.5 km to the falls, again on a relatively easy track. The total distance for all the tracks is about 10 km. The summit loop took about 1.5 hours, but that included over 15 minutes spent at the lookout tower on the summit. 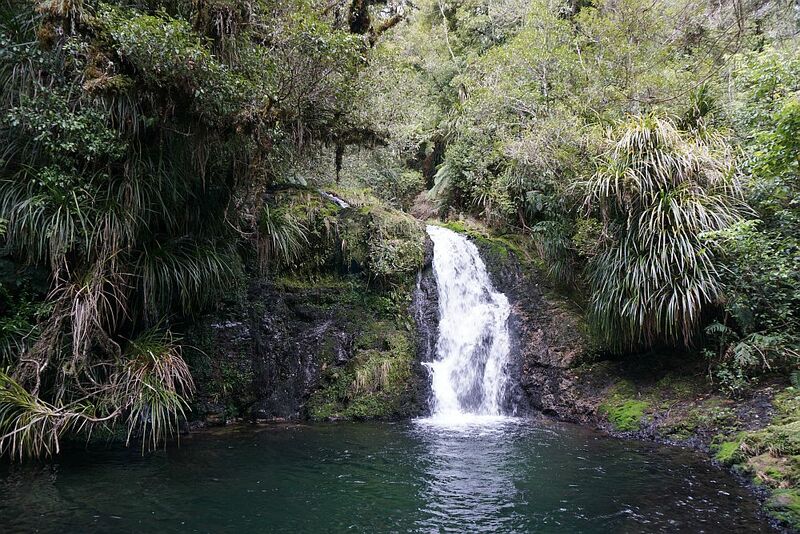 The Rimu Loop Track and the track to the falls (in both directions) took about 2 hours 15 minutes, with about 15 minutes spent at the falls. More information about the tracks is available on DoC’s web site. 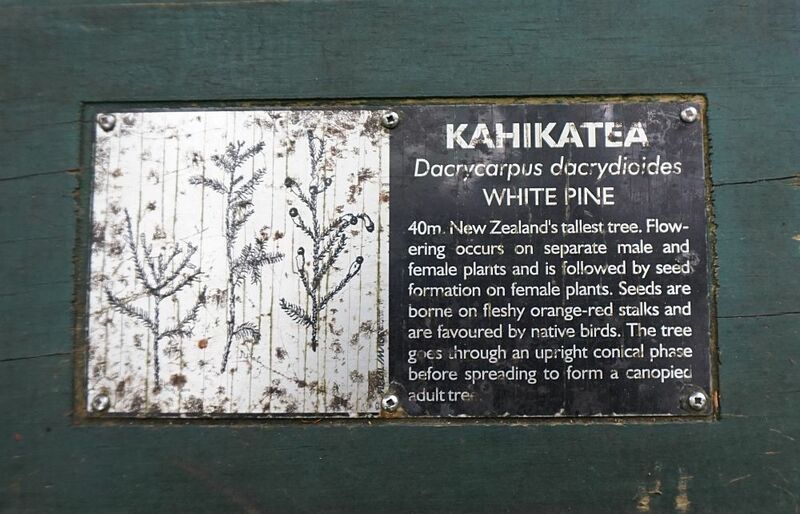 The covered picnic tables and information panels by the carpark on Mountain Rd. 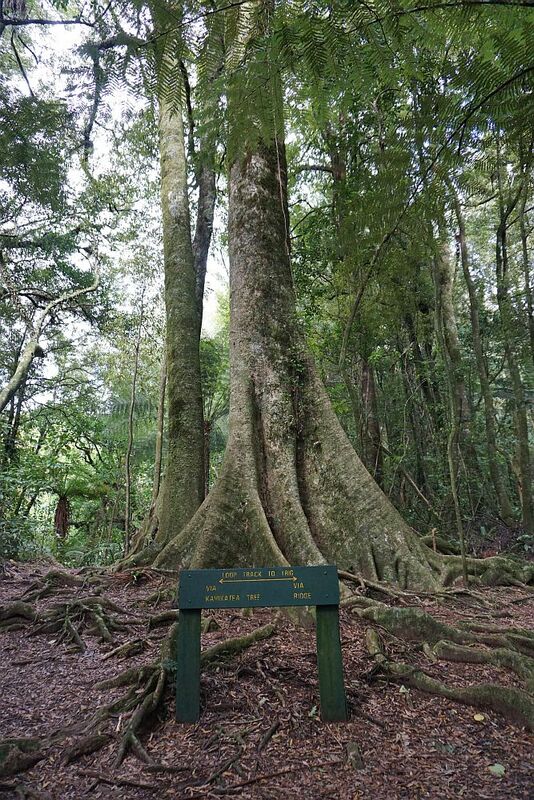 A large Pukatea tree marks the point where the summit loop tracks diverge. 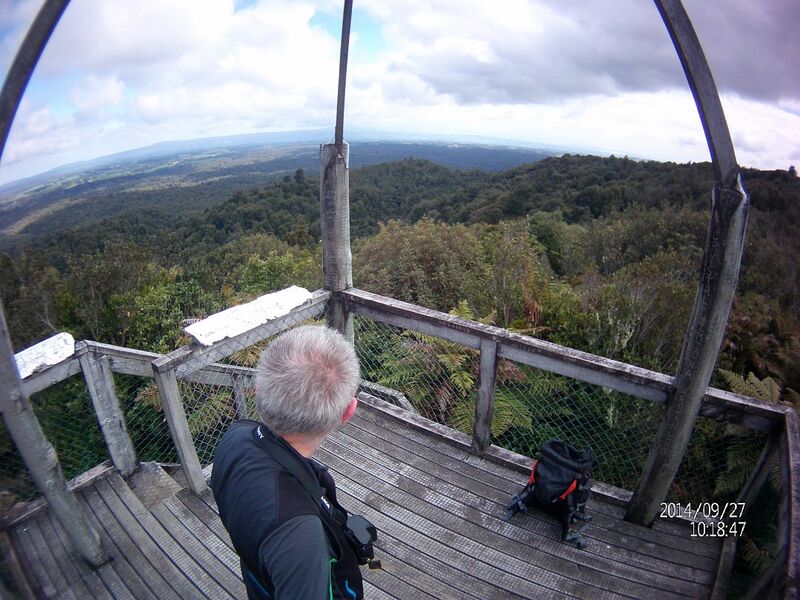 The lookout tower on the summit of Otanewainuku. Views from the lookout tower. Even a selfie on the lookout tower. There were several fallen trees and broken branches across or near the track. Apparently there has been a storm or two passing by recently. 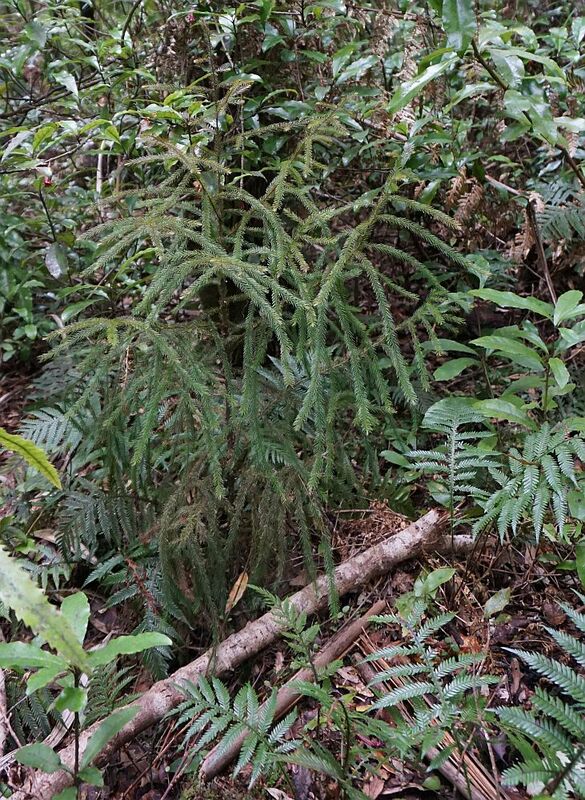 However, the tracks are well maintained and there were only a few minor blockages from fallen vegetation. 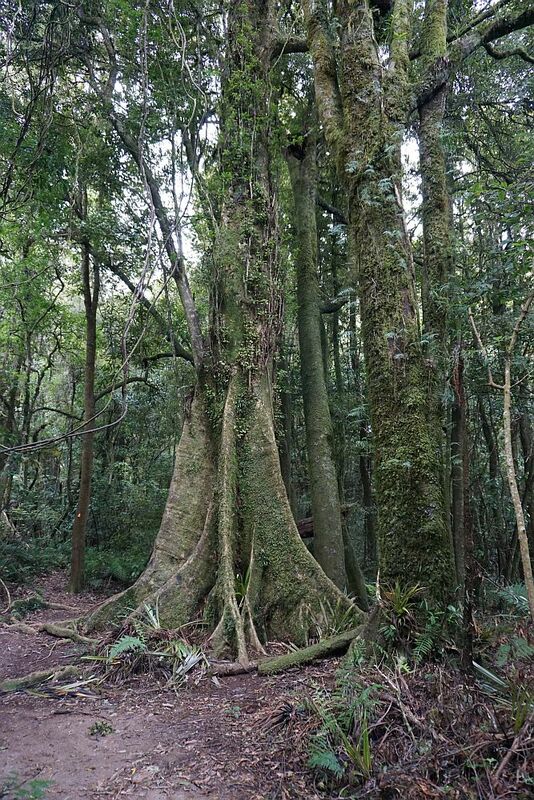 Another large Pukatea tree, recognizable by the distinctive buttressed roots. 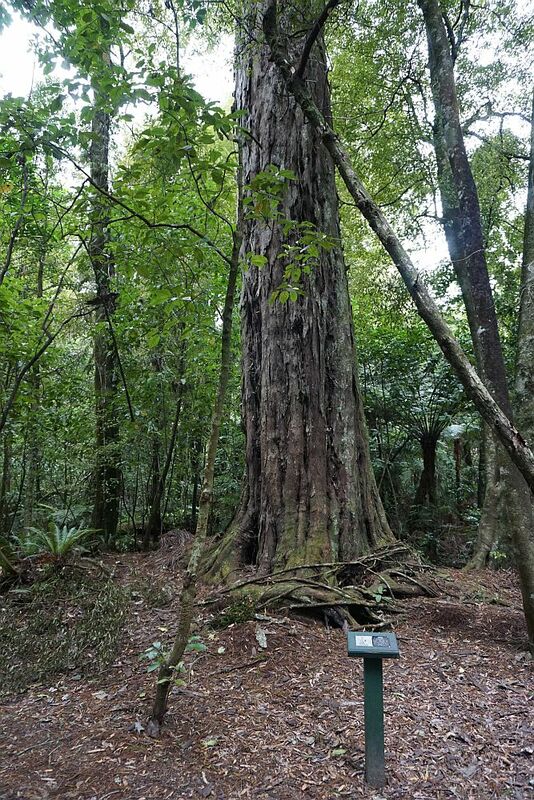 One of New Zealand’s tallest trees, a Kahikatea, is situated by the summit track, only a short, easy, walk from the carpark. 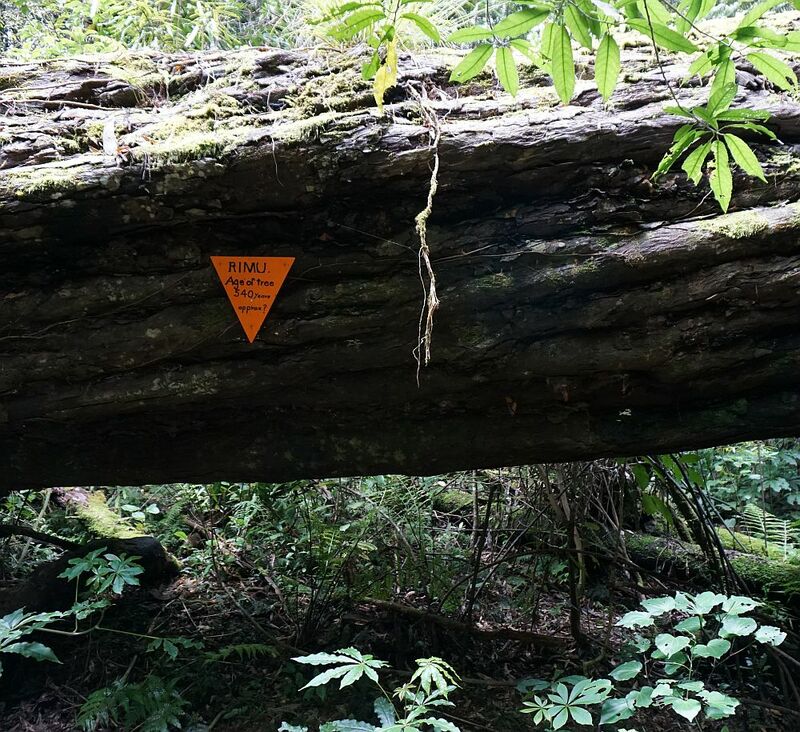 On the Rimu Loop Track a large Rimu tree had fallen across the track some time ago. With a diameter of more than 1 meter, it is estimated to be about 540 years old. 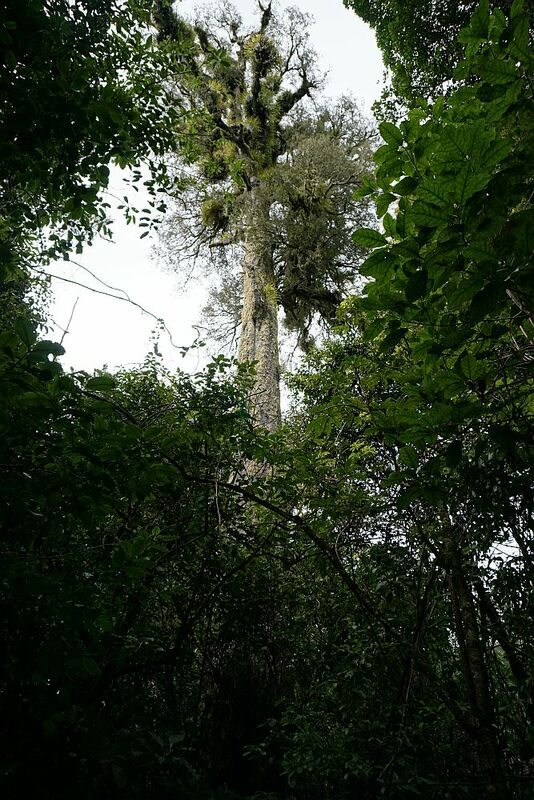 One of the largest Rimu trees by the Rimu Loop Track. 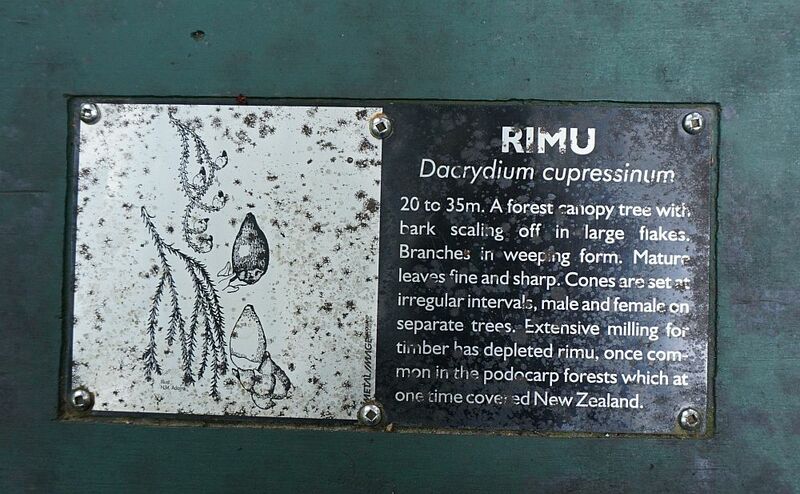 A small Rimu sapling, hoping one day to reach above the forest canopy. 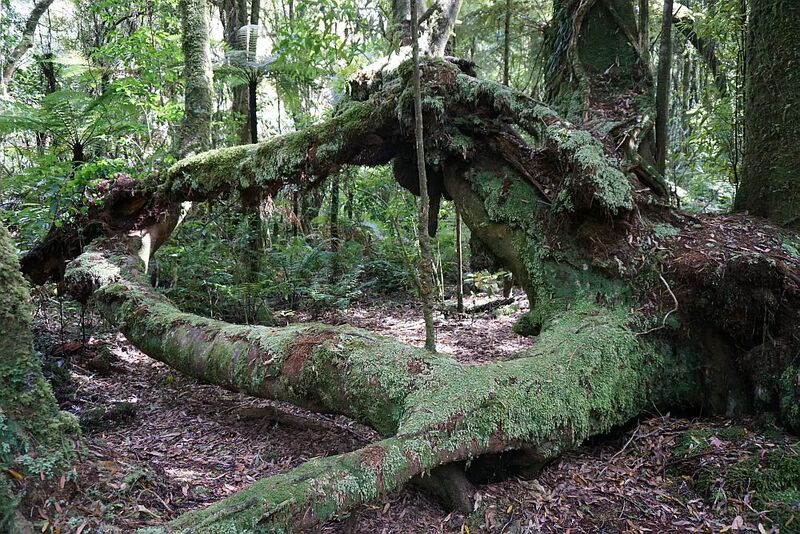 Moss and other vegetation soon grows on fallen trees. 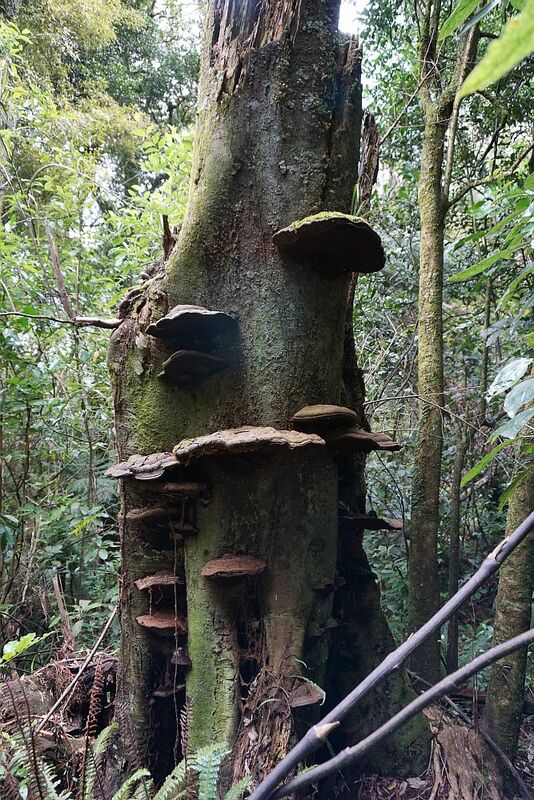 Fungus growing as ‘steps’ on the stump from a long-dead tree. 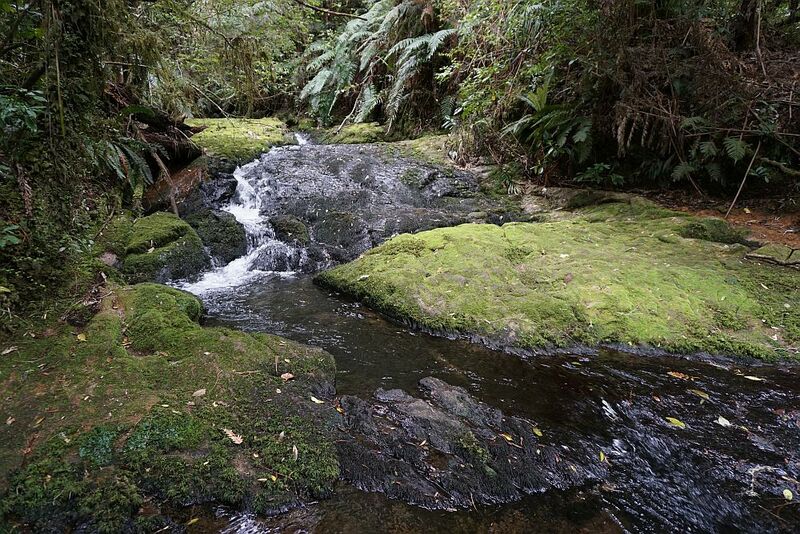 The stream just above the Whataroa Falls, which must be crossed to access the falls. 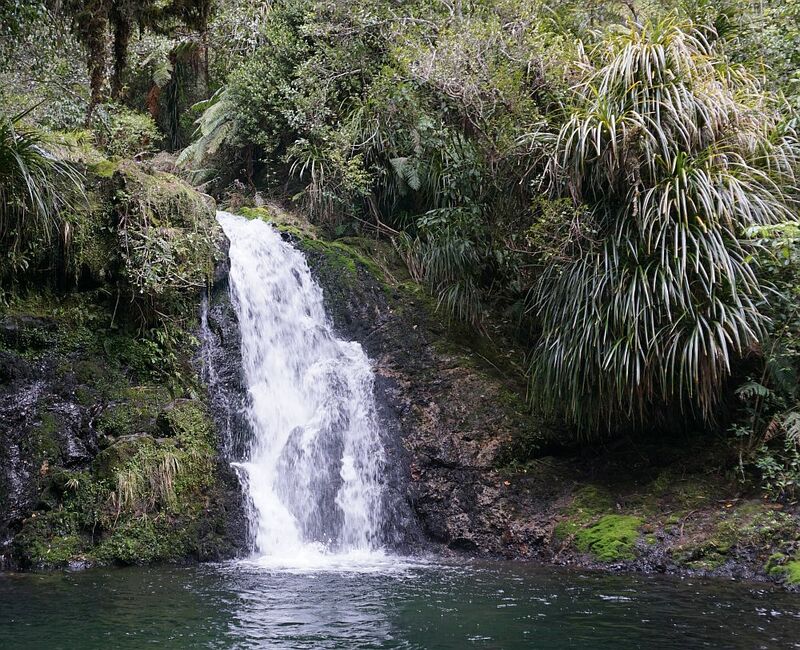 The Whataroa Falls consists of several separate falls. Only the upper falls are easily accessible. These are the upper falls. The second falls are accessible through fairly dense vegetation. There may be further falls, but again not easily accessible. The tracks were walked on September 27, 2014, as well as several other times. The GPS track log is from the September 27 walk. 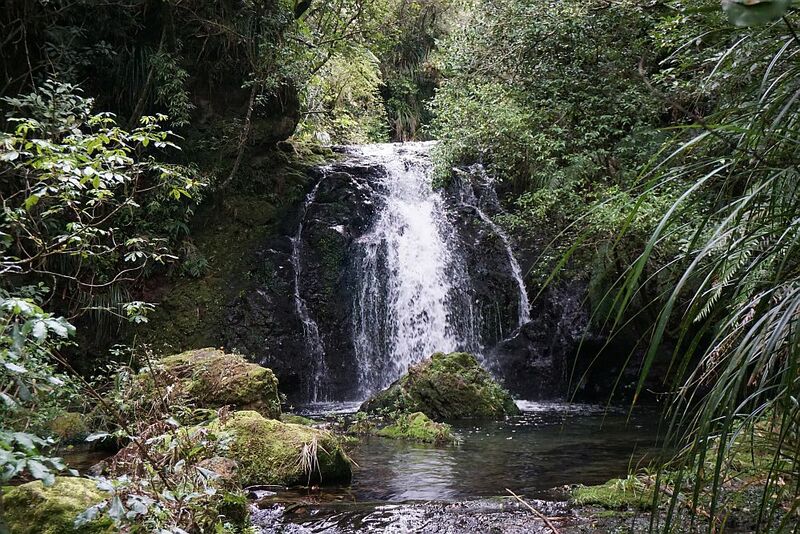 This entry was posted in Walks and tagged Oropi, Otanewainuku, Tauranga, Whataroa Falls on 2014-09-27 by nzartig.